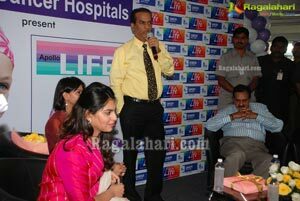 DGP Sri Dinesh Reddy wants specialists to work on alternative therapies for treating cancer! 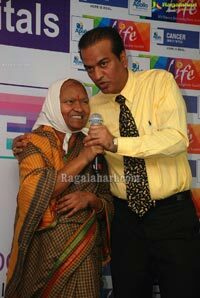 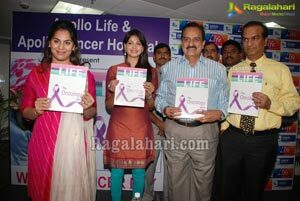 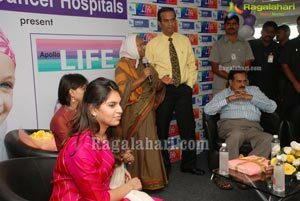 Hyderabad, February 4, 2012: Apollo Life – a niche healthcare magazine, released its special issue on Cancer, today on the occasion of World Cancer Day. 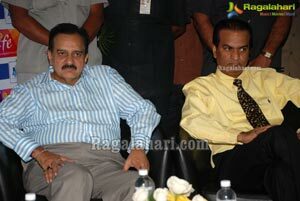 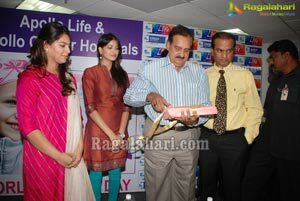 Chief Guest Sri. 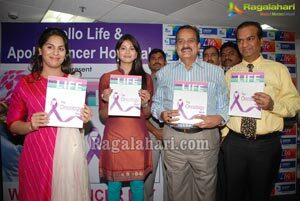 V. Dinesh Reddy, Director General of Police, Andhra Pradesh released the book today at Apollo Cancer Hospital, Jubilee Hills. 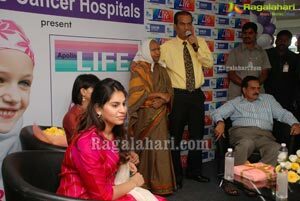 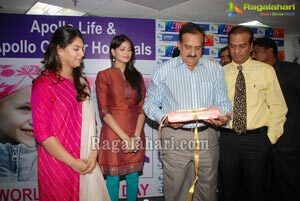 Present on the occasion were Rushi movie heroine Supriya Shailaja, Ms. Upasna, Publisher & Executive Editor of Apollo Life & Dr. Vijay Anand Reddy, Director, Apollo Cancer Hospital, Hyderabad. 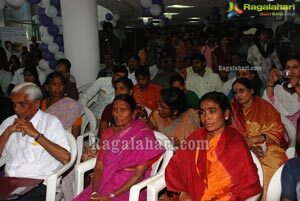 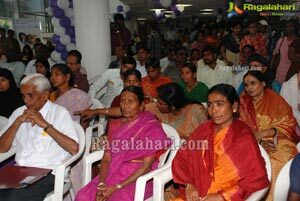 Speaking on the occasion Sri Dinesh Reddy said, in the olden days cancer was considered to be incurable, which is not the case now, cancer is curable. 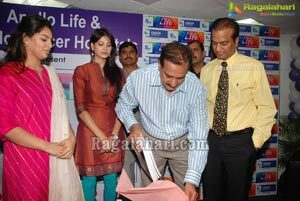 Education about cancer is the need of the hour, which can lead to prevention of cancer or early detection and cure of this disease. 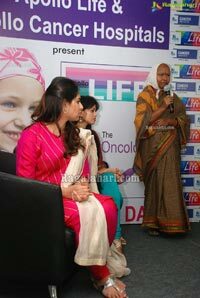 Media can play a key role in bringing about awareness about cancer by incorporating a regular column on cancer prevention and early detection. 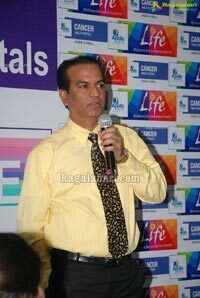 He narrated his personal experience with cancer, with two of close family members having been cured and leading a happy life ever since for the past twenty years, this he said was possible because of early detection of cancer in them. 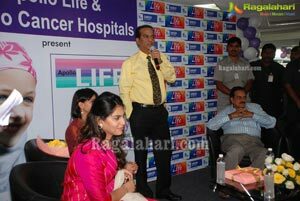 While appreciating Apollo Cancer Hospital for the world class cancer care it is providing, he advised the specialists to work on alternative therapies to treat cancer. 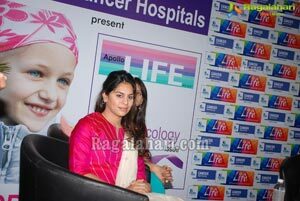 Awareness about cancer is a powerful tool to nip the cancer in bud stage, said Upasana Kamineni. 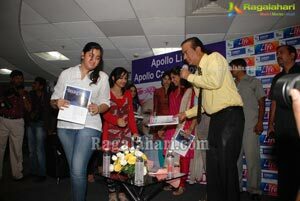 Education about cancer gives knowledge and strength to fight cancer. 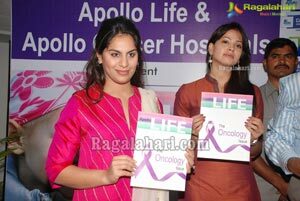 She said the special issue of Apollo Life on cancer is an accumulation of knowledge on cancer by experts and will spread awareness on cancer. 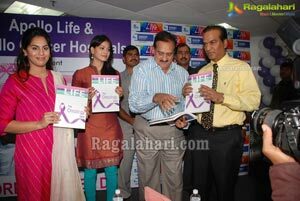 The issue is available on stands across the country. 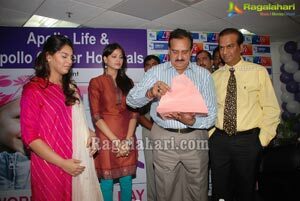 We developed specific Health Risk Assessment scans that can predict an individual’s risk of getting cancer. 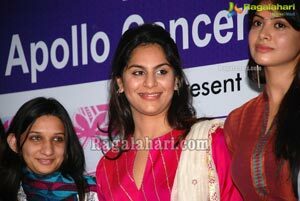 Prevention is certainly better than cure, she added. 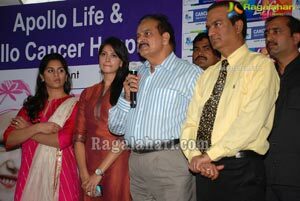 Dr. Vijay Anand Reddy, Director, Apollo Cancer Hospital, Hyderabad observes that “Cancer is preventable, detectable early and curable - but this message has not percolated in the society yet, the Apollo Life oncology issue would certainly help this cause”. 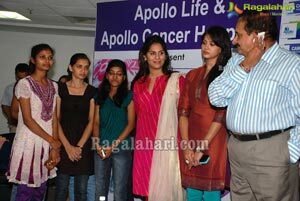 Supriya Shailaja who is enacting a role in the movie - RUSHI which depicts the trauma endured on being afflicted of cancer said, the trauma on the individual and the family is tremendous and therefore to banish this disease education on prevention and early detection is essential. 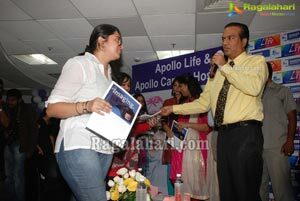 Apollo Life is possibly the only one of its kind in India – where expert healthcare professionals of a hospital group consolidate knowledge of a specific specialty to be read by the common man, in a single magazine. 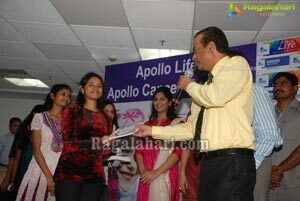 And when this knowledge resource comes from the trusted Apollo Hospitals, one of the largest healthcare groups in Asia, one knows why each quarterly issue readily becomes a collector’s item. 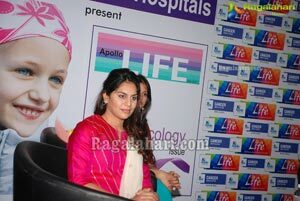 The articles are well-researched and presented by the best doctors in the field, yet are simple to understand. 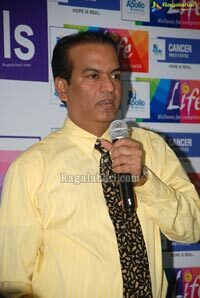 The articles basically focus on Cancer prevention, early detection and various options of treatments available for common Cancers in our Country making this magazine a good resource to common man and to someone who is suffering or at risk of a particular ailment. 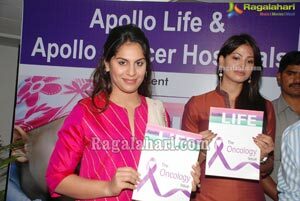 Apollo Life (the wellness initiative of Apollo Hospitals) brings out the oncology issue on the occasion of World Cancer Day 2012, with the expertise from the Apollo Cancer Hospitals.